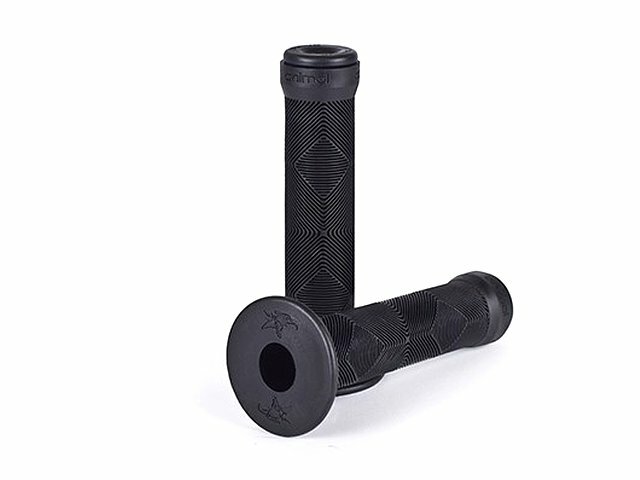 The Animal Bikes "Edwin" Grips - With Flange has a finely ribbed surface which feels soft and comfortable but also grippy. The flange of the grips offers great protection to your thumbs and the included pluggable nylon bar ends provide a clean look and offers protection for your bar ends. This Animal Bikes "Edwin" Grips - With Flange are one of the most popular grips in BMX because of the inclined arrangement of the lamellae. Furthermore, there are the signature grips by Edwin De La Rosa.